David Le/Gloucester Daily Times. 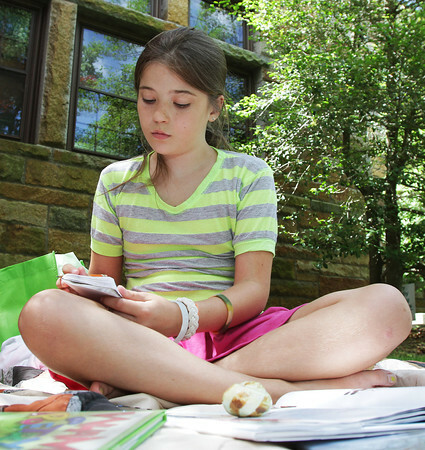 Natalie Coopman, 10, of Manchester writes a poem while sitting on a picnic blanket outside Manchester Public Library on Monday morning. 6/27/11.